Yesterday I received a call from Baglady. Not just any old baglady but Shirley Lewis, the fabulous campaigner from Northern Ireland who's encouraging folk everywhere to live ASAP - As Sustainably As Possible. 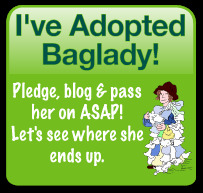 And what better time to get involved as Baglady has just launched ASAP Pledge Fortnight. The highlight of the awareness campaign is ASAP Pledge Week, which starts on Monday 14th June and leads up to ASAP Pledge Day when, on June 21st, children from Northern Ireland will take their pledges to the Northern Ireland Assembly at Stormont to ask politicians to join in and support living ASAP. Baglady is asking you to be involved too, by sharing your ideas on how to live as sustainably as possible. You just need visit her website and tell her what you are giving up and what you pledge to take up. It's that easy! I'm going to join in and I pledge to give up using my car so much now that it's got fixed. Yes, I seem to have developed a few inconvenient habits since it's come back from its MOT. But it's not just about what I am giving up, it's also about what I intend to take up. 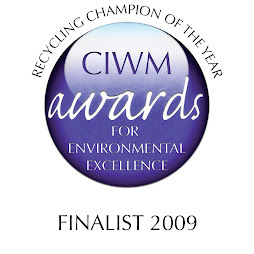 And for that, I pledge to help out a charitable cause which is in need of some extra recycling assistance. I'll share more information on that soon, but in the meantime, if you'd like to take the pledge too, visit www.bagladyproductions.org/ASAP-world/pledge and if you want to get your kids involved simply go to www.bagladyproductions.org.